Tickets available online only at pgparks.com. An intimate evening in white, complete with champagne, wine and a gourmet dinner makes for a perfect summer night! 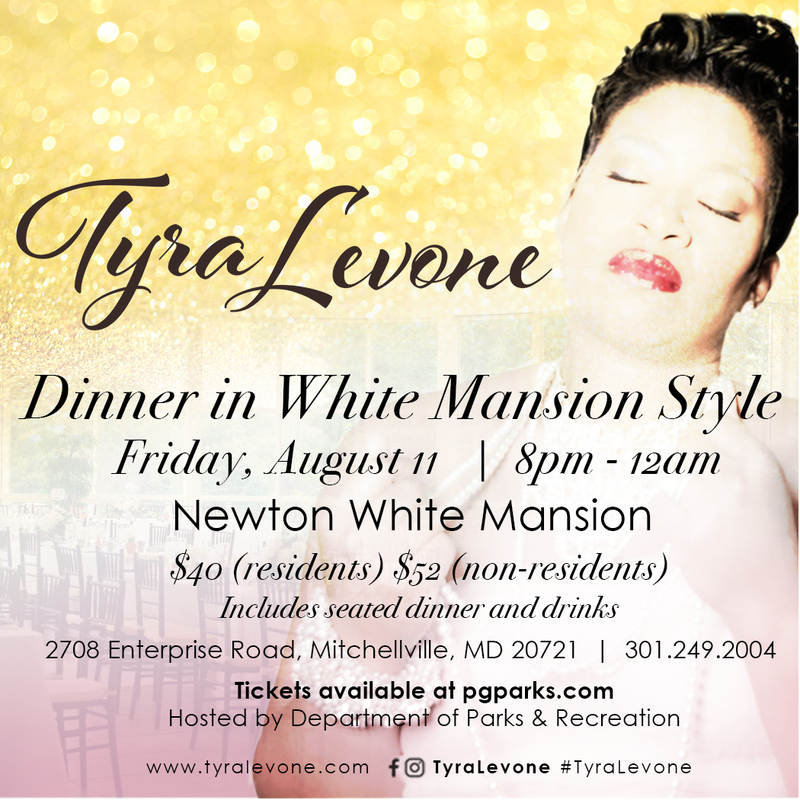 Spend an intimate evening at the historic Newton White Mansion enjoying the musical stylings of Tyra Levone and dine on a gourmet meal under the stars.